One of the many little songs we learned as children is Give Me Oil in My Lamp. The tune is familiar to us and the words stay with us as well. I am reminded of vacation Bible school, handmade napkin holders, and felt figures on a green cloth board picturing the Jericho Road and the Good Samaritan. This little song remains in my memory and continues to teach a vital lesson in the Christian life. One of the musts for all folks who own a car is to check the oil! If you ignore the check you could ruin your engine for good! In this Season of Lent, I believe it is a great time to “check the oil” in our hearts to see if we are fully protected against the friction in our lives which wears out the inner spiritual lining of our souls just as oil protects the inter cylinders of an engine. To extend the metaphor we may include the fuel in our gas tanks. Who would start across a desert road without checking the gas gauge? During this contemplative season we would do well to examine our lives and answer the questions “Are we ready for the Second coming?” and” Are we prepared to go out to Him when He knocks at the door of our hearts?” Will our lamps be burning or will they be burned out? Of course the “oil” of which I write is the “oil” of faith and sudden appearing of the Lord’s return which Jesus had in mind when he taught the haunting parable from Matthew 25:1-13. Jesus taught a vital parable about oil in the lamps of the bridesmaids called “The Parable of the Ten Virgins.” In this parable is the essence of Christian life preparedness. Being ready for the Lord’s coming is our responsibility. Jesus wanted us to take note of this truth about the Second Coming, so we might be ready to go with Him, be with Him, and have eternal life. These five wise maidens were prepared for the coming of the groom. They had thought ahead for they were aware that no one knew when He might come. It may be sudden or in the distant future. Jesus taught even to the end of his teaching ministry that no one will know the time (Acts 1:6-7). Our responsibility is to be ready. Our loving God has warned us of this suddenness so we might be saved. An unloving God would have taught nothing and just come suddenly, leaving us behind. The five foolish maidens were not bad people, but they were foolish insomuch as they were not ready for the sudden coming. Their oil ran out. In a foolish life, one would run out of “spiritual oil” or that Oil of the Spirit which illumines our path. Being ready is surrendering ourselves to Him completely, turning our lives around by way of repentance, and living each hour for Him. It means not putting off the decision to follow Him. Jesus said, “Come, follow me – pick up your cross and follow me” (Matthew 16:24-28). Some who are reading this message need to surrender all of their life to the Lord Jesus. They need to make Him first in all they do. Some are waiting until they are “good” before they say yes, as though anyone could be good enough. Do not put it off one more day. Dear friends, there is oil enough for the wise who love the Lord. Trim your lamps – read your Bible, pray, praise, and love the Lord with all of your heart, soul, strength and mind; and love your neighbor as yourself. Come to church and praise His name. Come together with others who trim their lamps in the abundance of God’s grace (Hebrews 10:25). Some early morning there will come out of the darkness a cry, “Here’s the Bridegroom! Come out to meet Him!” During this season of Lent, take the time to check the “oil”—you will be blessed and glad you did! This article appeared in the Friedberg Moravian Church Folio in February, 2013. Pastor G. Thomas (Tom) Shelton is pastor of Friedberg Moravian Church. He’ll be retiring from active ministry in June of 2013. Faith & Leadership is the online magazine of Leadership Education at Duke Divinity, which designs educational services, develops intellectual resources, and facilitates networks of institutions. Today’s post on Ash Wednesday by Amy Butler, senior pastor at Calvary Baptist Church in Washington, D.C., reminds us why we all seem to need Ash Wednesday so much. It’s been a week since I hopped on a plane heading to Amsterdam, and from there caught a train to Leiden, the city where I will be studying for a semester. It still feels unreal being here. This time last year I had no idea I would be here, or even that I would study abroad. But after the study abroad advisor visited one of my courses, a seed was planted in my mind. A seed of faith. Faith that I could be accepted for such an opportunity. Faith that I could put two feet on a plane in the country where I was born, and have lived all my life, and place two feet down in a country where I have never been and make a life there. When I stepped onto the plane in Philadelphia, my heart plummeted. Everything for months had built up to that moment, and its importance suddenly hit me. My nervousness almost overcame me, and my brain told me to turn around and walk the other way. But my faith spurred me onward, calmed my nerves, and let me take the next step. God works in subtle ways. You may think leading me to take a journey across the world is anything but subtle, but my nervousness isn’t one huge emotion, but thousands of “what if” questions that keep me awake at night. My faith has taught me to let “what if” become “God can.” He can take an introverted girl halfway around the world and give her the courage to make it there. Do I have moments of doubt? Oh, yes. When I first arrived, my heat was broken, my apartment was small, very cold, and I knew no one. I doubted myself and my faith. But after managing to call a mechanic despite language differences, and hearing his assurance that my heat would be fine, I began to warm up inside and out. God gave me the strength to make it through the first scary steps into a new way of life. And I have never felt stronger or more connected to him before now. As I cycled to the city from my apartment today, with the wind at my back, I felt like a new person. Ready to face new challenges, ready to renew myself. Hearing Dutch spoken around me no longer frightened me, it encouraged me. There is a word in Dutch, gezellig, which is hard to translate into English, but connotes a sense of belonging and togetherness. It is the feeling of sitting down to dinner with good friends and good food. It is seeing a close friend after a long time. It is visiting family and being welcomed with open arms. Being here is gezellig. It is right, and I feel welcome and at peace. For me, the love of God is gezellig, because with His presence and support I know I am in the place I belong—no matter how far I may be from my hometown and the friends and family I left behind. And even as I cycled back to my apartment, fighting the cold wind as it blew in my face, I had the faith to know I could make it. I had faith in the fact that I would open the door to my apartment and feel gezellig despite the odds. My advice to you? Find your gezellig. Because you don’t need to travel the world searching for it—it is within you. 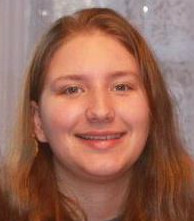 Megan Mericle is a Professional Writing student at Western Carolina University from Leaksville Moravian Church. She is currently studying abroad at Leiden University in the Netherlands.